Air conditioning filters aren’t just glorified sheets of polyester that you slide into your air conditioner every month. On the contrary, air filters are vital components to any HVAC or central air system that ensure your home’s air conditioner runs smoothly and safely — all while reducing your energy bill. If you’ve ever wondered why you need to purchase multiple air filters each year, you’re not alone. As such a small, replaceable component to air conditioning systems, they’re easy parts to gloss over when performing routine air conditioner maintenance. But that doesn’t mean they should be ignored. Having helped homeowners like yourself for over a century care for their home heating and cooling systems, we know that neglected air filters are often the cause of poor cooling, air flow, and efficiency, as well as faster wear and tear on your air conditioning unit. 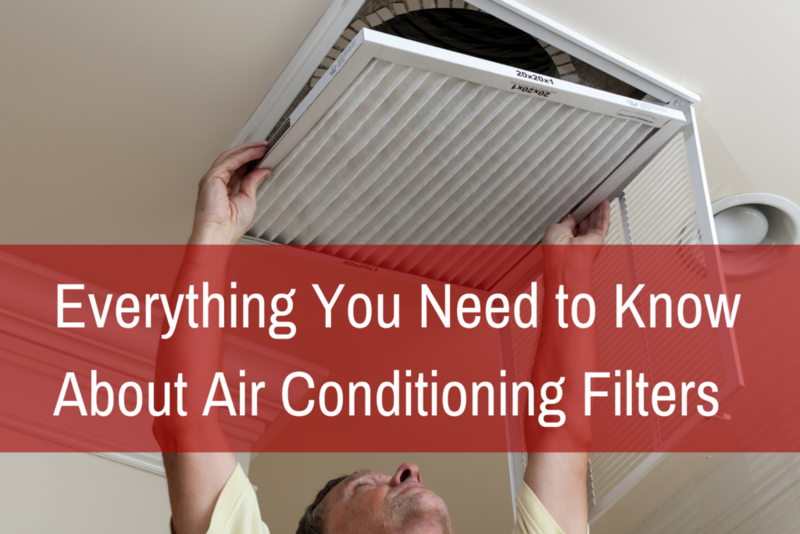 To help you avoid a similar situation, check out everything you need to know about air conditioning filters and how to care for them down below. Depending on the type of heating and cooling system you have in your home, you may have a single air filter for both your furnace and air conditioner, or you may have individual filters. Either way, your air conditioning filter is a vital part of your cooling system, and energy experts agree that checking and replacing it regularly has a number of benefits. Below we dive into some of the top reasons you should regularly change your air filter. 1. Save money on energy bills. According to ENERGY STAR, the average household spends about $2,000 on energy bills throughout the year — with your heating and cooling system representing nearly half of those costs. When your air filter is clogged or dirty, it restricts airflow and your system needs to work harder to do its job efficiently — which means more energy consumption and higher energy bills. If you’re looking for more ways to save money on your cooling bills, read 7 Air Conditioning Tips to Beat the Heat—and Your Energy Bills. 2. Ensure the best possible air quality in your home. At Welter Heating, we look at an air filter as a silent guardian. The filter acts as a barrier to dirt, dust, mold spores, pet dander, bacteria, virus-carrying particles, soot, and other allergens present in the air. Making sure the filter is gunk-free ensures that you’re breathing in the cleanest and freshest air possible. 3. Protect your cooling system and avoid expensive fixes. An air filter not only prevents nasty particles from making their way into breathable air, but it also prevents those particles from building up inside your system unit and ducts. When dust, dirt, and other particles build up in your system it can lead to expensive air conditioner maintenance or early system failure. Think of your heating or cooling system as the heart of your home, when you clog a main artery there can be damaging effects. And once your system becomes damaged, you could be in for a costly air conditioning repair. 4. Be a friend to the environment. According to ENERGY STAR, the average home’s energy usage is responsible for twice as many greenhouse gas emissions than the average car. When your dirty HVAC air filter hinders your system’s efficiency, your home is wasting energy and having an even larger impact on the environment. Flat air conditioning filters are disposable, inexpensive filters that are good at capturing large particles like lint, dust, and dander. They are very thin and should be replaced once every 30 days during the cooling season. Typically made from fiberglass or polyester, they provide basic air purification and are less expensive but need to be replaced more regularly. As a reusable air conditioning filter, washable filters are an environmentally-friendly option. In fact, this type of filter can last for up to five years when properly washed and maintained. However, because they last so long, washable air filters cost 2-3 times more than flat air filters. That doesn’t mean you can ignore them for all five years, though. Washable air filters should be washed once every 30 days during the cooling season. Pleated air filters are typically more efficient than flat and washable filters. This means that they can capture smaller contaminants like bacteria and mold. Pleated filters, also known as extended surface filters, offer greater air purification through the pleating structure of the cotton polyester blend or all synthetic material. They’re also thicker and have more surface area than flat filters. Given their size and efficiency, these filters due tend to cost more. You should also consider that pleated air filters should also be replaced once every 90 days during the cooling season for best results. Unlike other air filters, electronic air filters can trap microscopic contaminants like smoke and viruses. These filters work by removing large particles the same way that other filters do—by trapping them as air moves through the filter. Smaller particles, on the other hand, are zapped with electricity when they come in contact with the filter. While it does need electricity to operate, that extra boost of power helps the filter attract dust and grime more powerfully. In fact, electronic air filters can trap up to 95% of airborne contaminants, greatly reducing indoor air pollution. This is probably the best reason to get an electronic air filter as it provides protection for those suffering from allergies or asthma. Another benefit is that electronic air filters are reusable and should be washed once every three months during the cooling season. These filters are easily cleaned by simply removing them from your unit and hosing them down. While electronic air filters do cost more up-front, they save you time and money on the back-end because they alleviate the replacement routine of installing new disposable filters every 1-3 months. How Long Do Air Conditioning Filters Last? Before heading out to purchase a new air conditioning filter, you must first find out what size air filter you need. Air conditioners come in different makes and models, so you should find out which size filter your air conditioner uses. You can do this by removing and measuring your old air filter, or by reading your user’s manual. If you have a central air conditioner, the filter cabinet is typically located under or on the side of your indoor air conditioning unit. Consult your user’s manual if you are having trouble locating your air filter. Most of the time all you need to do is replace the exact replica of the disposable filter in your air conditioner. However, if the current filter does not fit correctly, use the measurements on the filter for the correct replacement size. Not seeing a size labeled on your filter? Take careful measurements of your filter’s height, width and depth. You may need to convert these numbers into the nominal filters sizes by rounding up each number to the nearest inch – for example, your measurements might be 23 1/2″ x 23 1/2″ x 3/4″ but the nominal size is 24″ x 24″ x 1”. If your unit does not have a filter, take the exact measurements for the opening itself. Be sure to give the exact numbers of either the opening or the filter when speaking with your cooling system expert so they can provide the correct size when they visit your home. MERV stands for “minimum efficiency reporting value.” This number rates the effectiveness of an air filter and ranges from 1 to 20. The higher the rating, the more effective the air filter. For instance, all air filters should be able to trap pollen, dust mites, hair, and textile fibers. However, an air filter with a MERV of 20 can also trap extremely fine contaminants like viruses and smoke. Simple window AC units typically use filters with a MERV of 1-4, while residential central air conditioners usually use filters with a MERV of 5-12. Air filters with very high MERV ratings are typically used in industries that require carefully controlled environments like hospitals, laboratories, and manufacturing facilities. 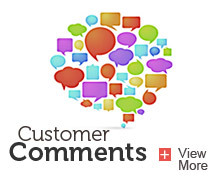 Once you have the size and MERV rating you need, the next step is to decide what type of air filter you want. When considering your options, take into account how often each filter type needs to be replaced or washed. For example, if you select a flat air filter, you’ll be purchasing new air filters every month while your air conditioner is being used. Over time, this can get quite expensive. After you’ve made your decision on the type of air filter, it’s time to purchase it and move on to installation. You should always follow the manufacturer’s instructions when installing a new air filter. However, most air filters are extremely easy to install and can be replaced in a manner of minutes. Typically, the process is to turn of the air conditioner, remove the old air filter from the filter slot, and slide the new filter into the slot. It’s as easy as that. The regular maintenance of your air filters will help ensure the comfort in your home and the health of your air conditioning unit. But more than that, they can also bring your energy bills down and benefit the environment as well. 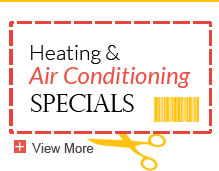 Still have questions about your air conditioner? Get your questions answered with these five air condition repair questions and answers. 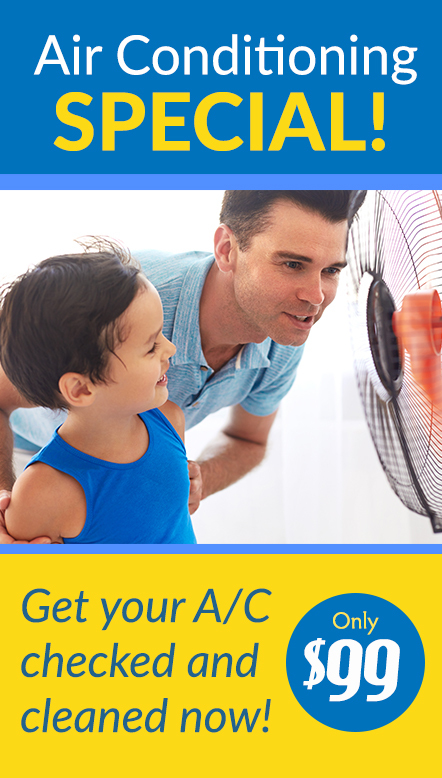 You just might find some helpful tips for the next time you attempt to repair your AC.